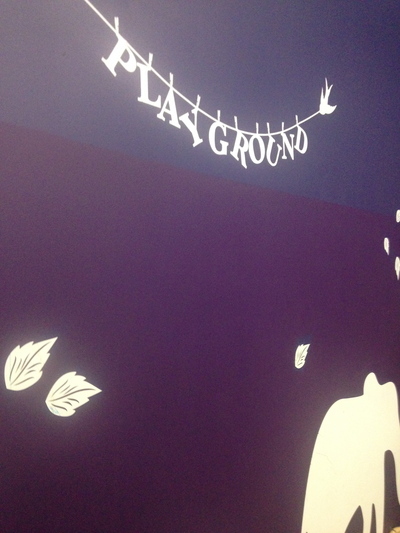 Le Cirque Fine Foods at Harbour Town Melbourne in Docklands is famous for being a kid-friendly cafe. 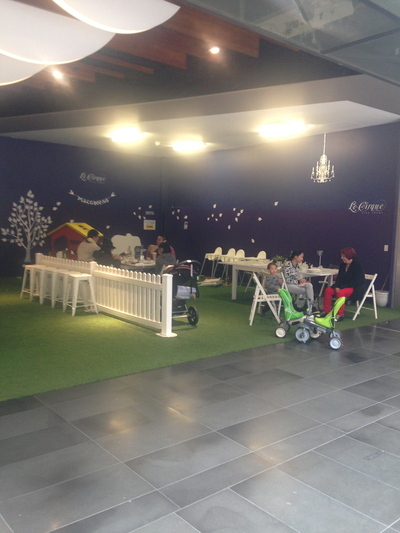 Simply put, it is awesome to see a cafe in Inner Melbourne devote a generous space for the little ones to play while with their parents. It could easily be dubbed a mini child care centre in itself, although we should not go that far. The open space has some artificial grass, with a painted garden like space. There is an open area for them to play games such as tips; elastics (if they have a thick elastic with them); stuck in the mud, as well as limbo and skipping to name a few. Please note, your kids need to bring their own skipping ropes with them. 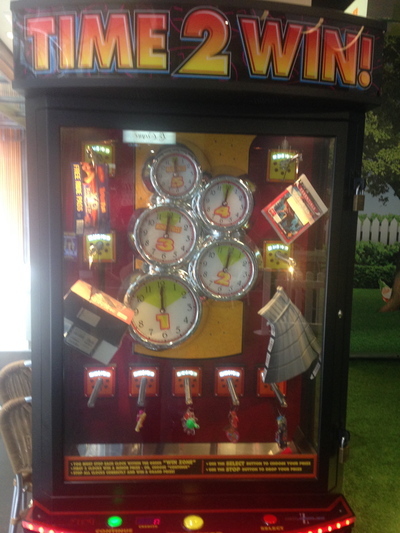 There is a pin ball machine, similar to the likes of what you'll find in game arcades such as Timezone. 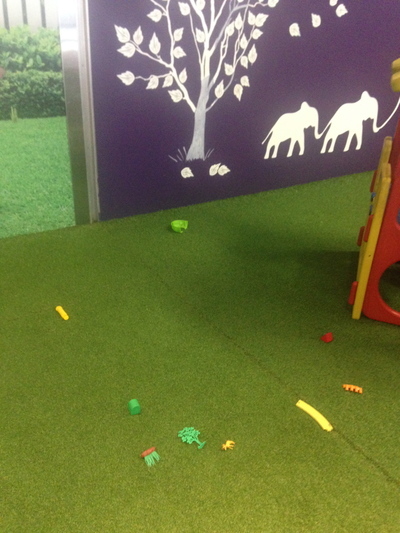 The main playground still contains some artificial grass with a dark purple decorated wall, as well as some toys to play with. 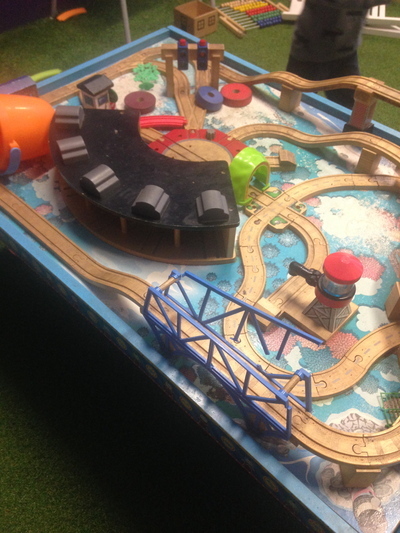 The toys have been supplied by Toyworld located on level 1. Naturally, signage such as the need for children to be supervised by adults is clearly visible. 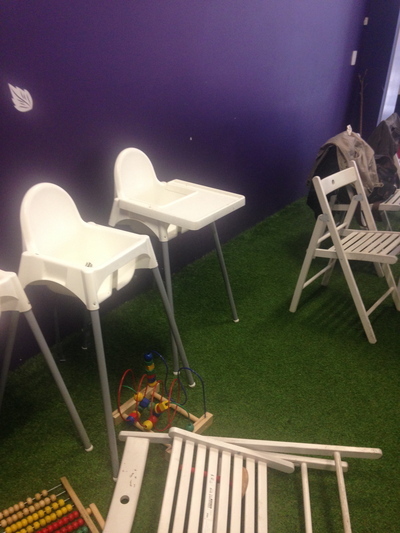 Being a kid-friendly cafe, Le Cirque Fine Foods supplies high chairs, and there is ample space for parents to park their prams in this area. 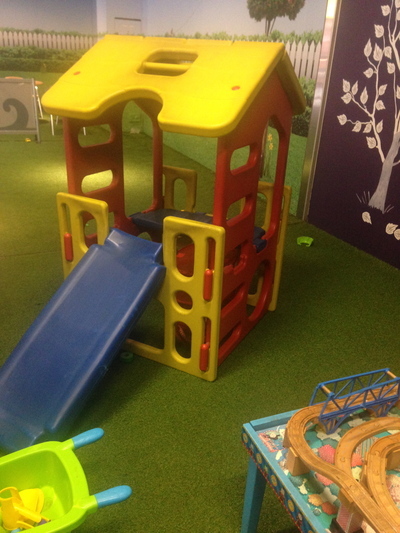 There is a white fence that divides the open play area with the play area that has toy equipment such as a little cubby house, together with a train set and other pre-school and kindergarten like equipment. 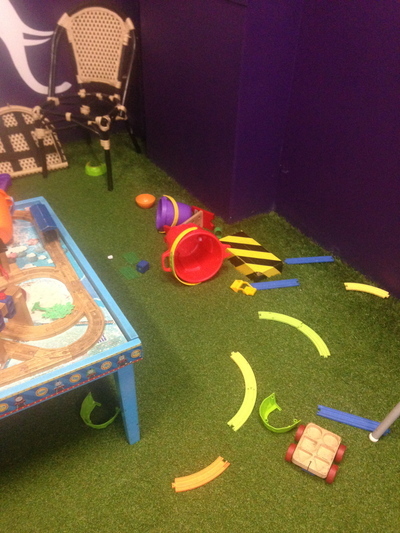 Take care not to trip in the far corner as there are many loose toy pieces scattered on the floor. Having said this, this open playground is free to use, and is, importantly, incredibly safe for the little ones to play in. Of course, it is great for the parents (yes you) to sit down in this space in order to supervise your child/children in this playground area, without having the sit in the noisier and more vibrant end where all of the treats are prepared. 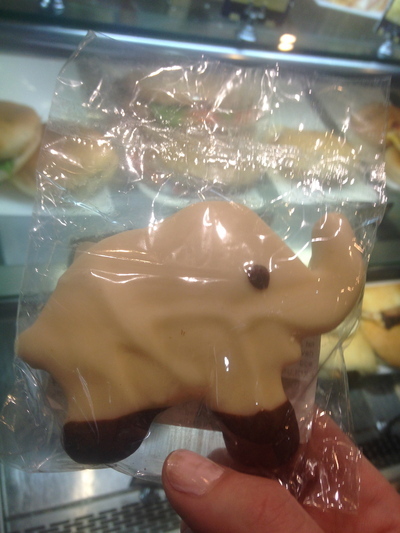 Speaking of treats, the kids of Melbourne will love their White Elephant and White Star Cookies ($2.50 each) with a conscience. They're soft shortbread cookies coated with white and milk chocolate. I say that these treats are cookies with a conscience, because $1 from every cookie sale goes to the Starlight Foundation - a kid-friendly charity come to think of it. Cool. A generous playground with a generous supply of toys and space, as well as serving some delicious cookies that go towards a great cause - I am seriously in love with this cafe from a kid-friendly perspective. To top it off, the staff are always polite. Parents, I highly recommend this cafe for a nice pit stop coffee and/or lunch with your little one/s.